Our easy to use online ser­vice enables you to han­dle all your trans­la­tion needs via the inter­net. Sim­ply send us the respec­tive files via the enquiry form. We would be hap­py to make you an imme­di­ate, free and non­bind­ing offer. If our offer meets your expec­ta­tions, please con­firm your order via email. Once the doc­u­ment has been trans­lat­ed it under­goes a qual­i­ty check and is then sent back to you by e-mail. Doc­u­ments of up to 2000 words will be trans­lat­ed and deliv­ered to you with­in 2 work­ing days. An addi­tion­al work­ing day should be allowed for each addi­tion­al 2000 words. 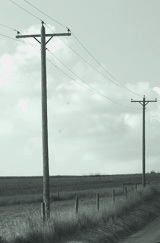 Dead­lines depend on var­i­ous fac­tors. A promised dead­line rep­re­sents an expect­ed deliv­ery time which in 99% of cas­es can be eas­i­ly met. If an unex­pect­ed­ly large amount of research is required, the dead­line may need to be slight­ly extend­ed so that our qual­i­ty stan­dards can be main­tained. Com­plet­ed trans­la­tions can be deliv­ered to you by any appro­pri­ate means: e-mail, stan­dard mail, fax or on CD-Rom, flop­py disk etc. We are hap­py to fit in with your require­ments.